(WRIC) -- With the holiday season coming to an end, the new year has come into focus for people across the country. Locals who received the newest gadgets during the holidays can prepare for 2019 by connecting their devices with 8News to get the latest updates on weather and news from across Central Virginia. 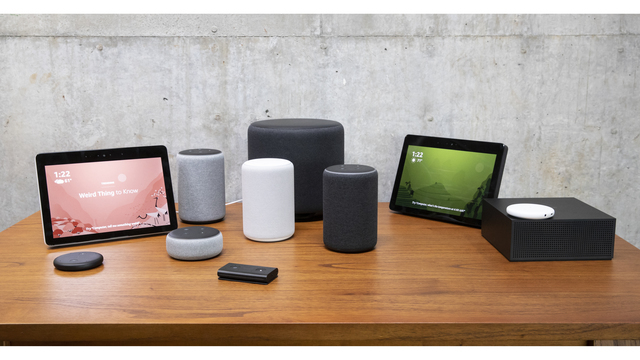 Electronic devices were certainly on several Christmas lists this year, including many Amazon Alexa-enabled devices. Finding the latest products that connect seamlessly with existing apps or products has become vital for many shoppers. If you unwrapped a new Alexa product, could be a new Echo speaker or Echo Plus, 8News has made it easy to connect the device with your local news. You can add 8News to your flash briefing for your new Alexa, or Alexa-enabled device, to get the latest news and weather updates throughout your day. To get up-to-the-minute information from 8News, search "WRIC 8News" in the Skills section of the Alexa app. When the search for "WRIC 8News" is finished, click on "Enable Skill" to add it to your briefing. Once the skill is enabled and added to your flash briefing, just say "Alexa, what’s my flash briefing?" or "Alexa, what’s in the news?" to get the latest from 8News.